The earth's crust and upper mantle is in constant motion. As a solid, this motion is achieved by separate lithospheric plates grinding past in differing horizontal and vertical directions. 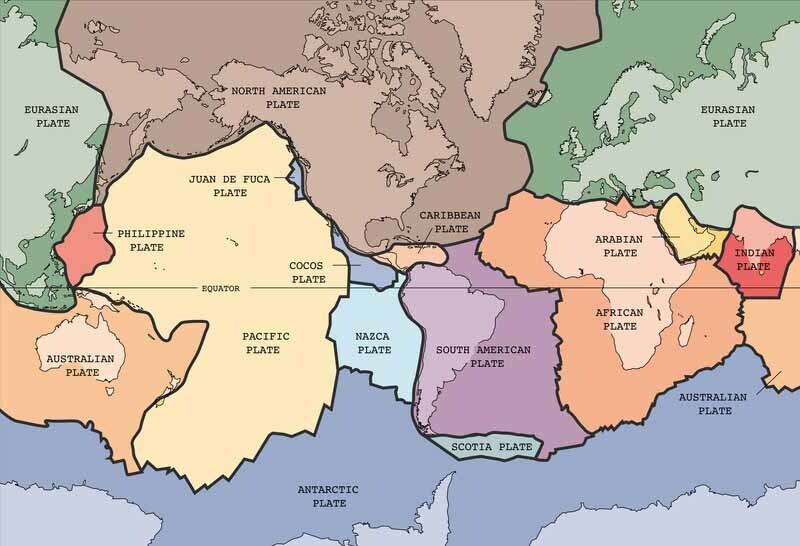 When these plates slide "fast", we on the surface experience an earthquake. This plate motion can also occur at a much slower pace. Considering the shear mass of any crustal plate, it comes as no surprise that the two plates involved are frictionally stuck together at the surface allowing strain accumulation. This is not the case at depth, however, where increasing pressure allows solid materials to behave more plastically taking on fluid characteristics such that the two competing plates freely slide past each other. The effect of surface deformation from plate motion at depth is the main focus of ETS study. Information gleaned from ETS data will help us understand the dynamics between the upper locked portion and lower ductile portion of a subduction zone; important for determining future large-scale potentially hazardous earthquakes.